Whether you’re a new agent struggling to find leads or an experienced veteran who still hasn’t cracked the code to mastering social media lead generation, Jason Wardrop has the answers you want. He also has copy-and-paste templates and a step-by-step process for any agent who wants to begin generating leads within 24 hours of implementing his system. Does he know what he’s talking about? Yes. He’s still generating 50 leads a day from Facebook. Wardrop says lead generation is something any agent can do if they know his secrets and commit to the six-figure system. Wardrop started his own marketing agency right out of college—generating leads for dentists. He wasn’t successful right out of the gate. He encountered the same issues most REALTORS® and agents do—he was getting a lot of traffic to his website, but few, if any, leads. He consulted with his mentor, who pointed out that he lacked a landing page and a call to action. Wardrop took the advice to heart immediately and created his first landing page. In a matter of a few months, he was making $25K a month. In less than a year, he upped that to making just under $100K a month. Now he’s sharing how simple it is to do. Since the right landing page can convert 25 – 30 percent of people who visit, Wardrop shares templates of pages that have already been proven to work. All you have to do is copy and paste the template and fill in your contact information. This works for total newbies, seasoned veterans, brokers, buyers agents, sellers agents…anyone. You need to know what your call to action is, and you need to understand your market, but a lot of complex copy isn’t needed. No one likes making cold calls, especially if you’re a REALTOR® without much time to chase dead ends and unqualified clients. What if you could eliminate cold calls altogether? You can if you create a landing page where potential buyers, sellers and prospects pre-qualify themselves and schedule calls with you. On average, Wardrop explains, you’ll have 2 – 5 leads a day. That means at the end of 10 days, you’ll have around 30 leads. At the end of 20 days, you’ll have around 60 leads. How do you keep up with them? Simple. Once potential clients opt in, have them schedule a call with you using an automated calendar on your landing page. This allows you to pre-qualify the leads and weed out people who aren’t serious about talking with you. In addition to having them schedule a calendar call, you can also automate a text to their phone or email. Once the leads are consistently coming through and being automatically pre-qualified, what you want to figure out are the “magic numbers.” Your magic numbers are the return on investment (ROI) you receive from your advertising. What are you spending on ads compared to what you’re making from those ads? To find your ROI, you need to know the conversion rate of your leads. Knowing this will give you the confidence to invest more (or less) in your advertising. Using the chart he’s developed to show agents the average (low end) of leads generated and converted, Wardrop shows agents how they can be making $40,000 a month in three or four months. The process is pretty simple. Generate leads at $3 – $5 a lead. Auto-sort your leads. Finally, close deals and make six figures a year. By investing more of that profit back into your lead generation, you can keep growing your revenue. The only limit is your ability to follow up with your leads. 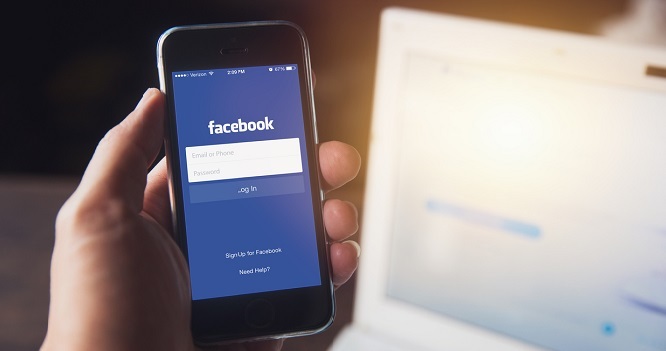 Maintaining a strong Facebook presence can be challenging for a busy real estate professional. Homes.com’s Social team is here to help. Homes.com Social is a comprehensive social media suite designed specifically for real estate professionals who are looking to better connect and engage with their audience. Give your real estate brand a social media strategy that’s sure to boost your business. To hear all of Wardrop’s tips and insights, listen to the webinar here.